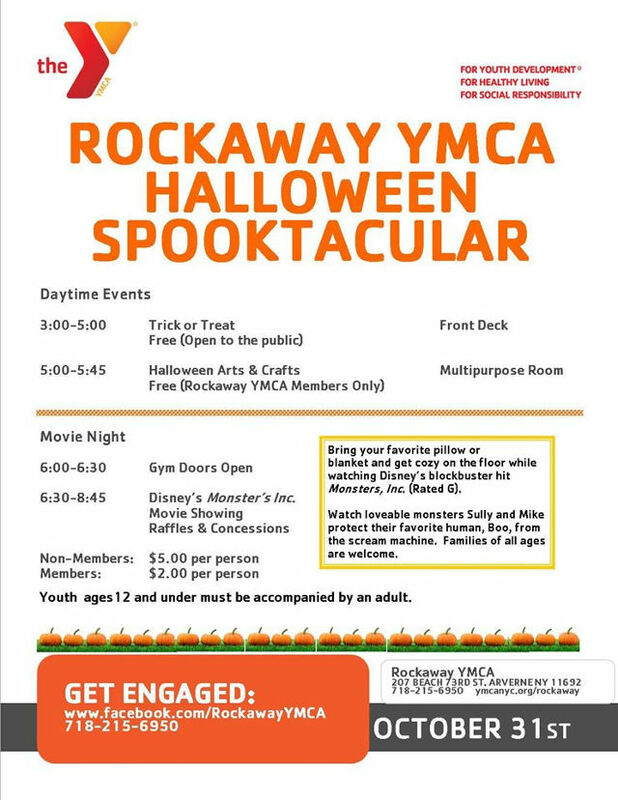 Make sure to drop by the YMCA on Halloween for daytime and evening events for the whole family. Public trick or treat at the front desk starting 3pm and for YMCA members, participate in arts & crafts starting at 5pm. During the evening Disney’s Monster’s Inc will be showing. Youth ages 12 and under must be accompanied by an adult.